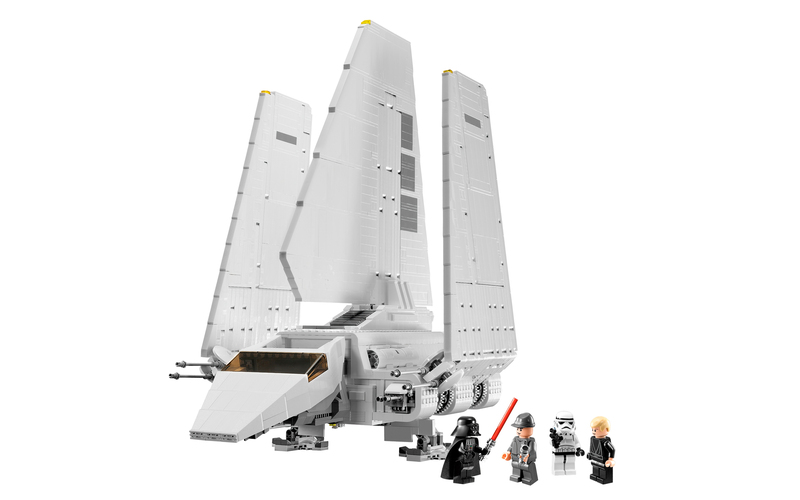 TLG is announcing a new UCS Star Wars set (10212, Imperial Shuttle) to be released next September. 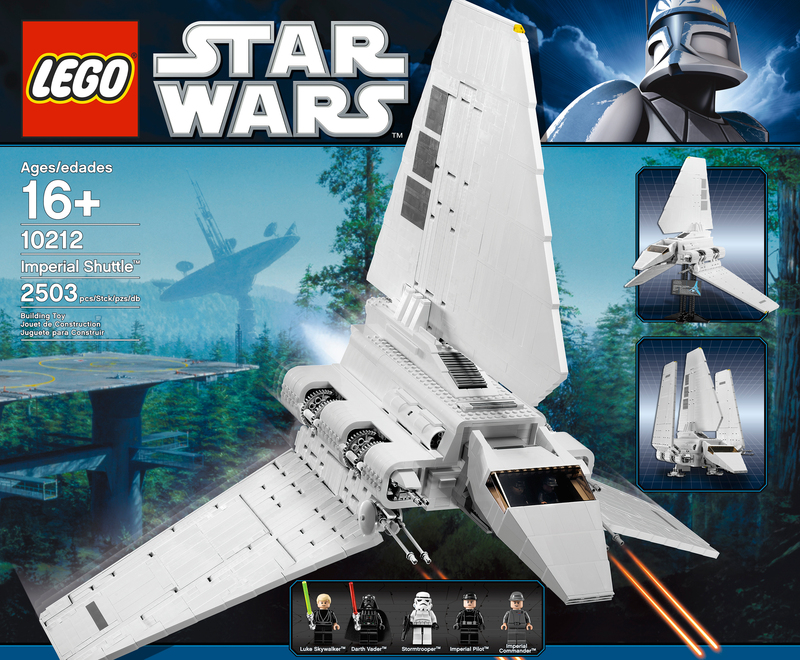 It is the first minifig scale version of this iconic Star Wars vehicle and it includes 2503 pieces. Little I'd say... but if you look closely to the high-res images made available, you will notice some new longer thin TECHNIC liftarms. As it looks we are getting them with 9L and 15L lengths, in white color. Nothing!! The previous statement was nothing more than an erroneous lat night observation, induced by the image perspective. I'm sorry for misleading information. Nevertheless this looks to be a very nice set and a very good source for white beams in years, if it wouldn't be a "shame" to partout such magnificent and valuable set, just for the parts. The elegant Lambda-class Imperial Shuttle™ transports the Empire’s elite and the occasional secret strike team of Rebel commandos all across the galaxy. 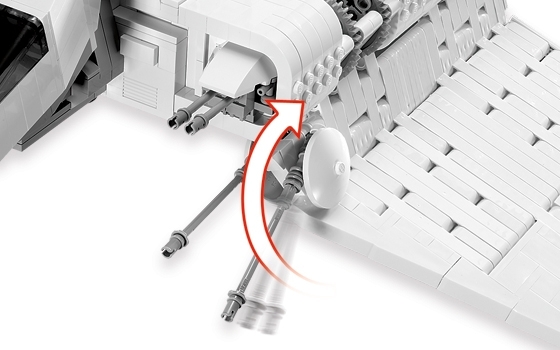 Now you can build this huge and iconic Star Wars™ vehicle in true minifigure scale for the first time ever! 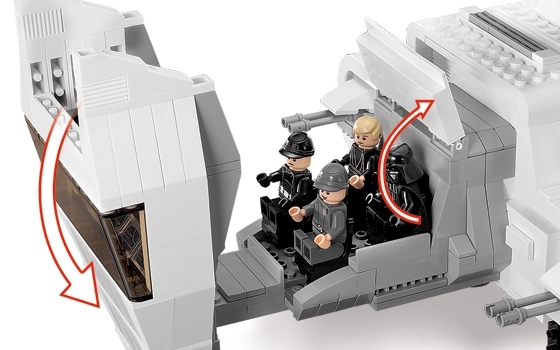 The Imperial Shuttle is authentically detailed with rotating double laser wing cannons and a four-seat cockpit. This Ultimate Collector’s model features an opening canopy, detachable landing gear, a stand for display in flight or landing modes, a labeled display plaque, and gear-driven folding wings with removable activation keys. Completed model measures 28" (71 cm) tall on stand and 22" (57 cm) wide with wings deployed. Includes 5 minifigures: Darth Vader™, Imperial Pilot, Imperial Officer, Stormtrooper and Luke Skywalker™. Below some other images where you may also see the wings in more detail, inclusive the new TECHNIC elements. Now that the video is available online, lets show it either. I am not sure about the statement. For me it looks like they are 'normal-width' technic beams but looking small by the perspective. I don't know where you see new thin liftarms. There are definitely NO new long thin liftarms in 10212. Now taking another look, after sleeping, you are absolutely right!! I did receive the images from TLG yesterday, but definitely it was not an excuse to advertise 10212 here at TBs. It was in fact misleading. - Or simply delete it. I have to agree with what most are saying, there are no new technic beams in this set. Still looks nice tho and a good source of white parts although maybe nothing we can't already get in white. No looking at distance, such long thin parts would be quite unlikely to be produced, as they would probably be not strong enough. @ Conchas : do not delete your post. On the middle wing, there is a new liftarm. There is : 1 brick + 2 plates + 1 brick + 1 plate + 1 brick + 3 plates + 1 brick + 2 plates + 1 brick = 23 plates = 7 bricks + 2 plates = a 9L liftarm. If you look at the alignment with the slopes at the base, you will see that the liftarms are indeed the thick versions. Really tricky these images and perspective! I redid the calculation on the right on the picture, with the white bricks. As for the liftarms length, I still believe they are 9L and 15L. The point was really if they were the thinner or the thick versions. Nevertheless, this looks just a great set! Why not consider these 19L thick (plus longer) Liftarms that you can get now: http://www.bricklink.com/store.asp?p=InanimateReason . Yeah, 45% copy and 65% lego meaning 110% white haha! It is a shame they didn't do a landing gear mechanism operated by the same crank that operates the wings (wings go up, landing gear comes down and vica verca) as it would have been cool and not that hard to do. But then this is more about detail than functionality, it isn't a technic set afterall. well, here's an angle on the technic side.. sorta. Is it white or is it 'mindstorm white'? I'm hoping it the cool white... bright white dulls and scratches too easily. AFOLs do have a chance now, to influence!